Girlie's Crochet Issue # 030! 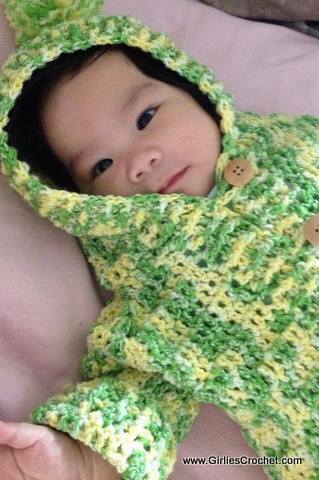 This is a free crochet pattern for a Baby Hooded Sweater with photo tutorial in each step. For intermediate skill but I made sure that even beginners can crochet by following the step by step guide. PDF File Download Now available, by popular request, PDF file formats for selected free patterns. There is no charge for the patterns. They are free. I do ask for a small donation in order to download the PDF file format. I have always wanted the patterns I create to be free and will strive to always keep it free crochet patterns. There is no greater feeling than that “sense of accomplishment” after having finished a free crochet project that’s enjoyed by my fellow crocheters. In all honesty, it was a great experience for me to create www.girliescrochet.com. It was the connections and bonds being cherished and the sharing of passions that motivated me to keep creating patterns. 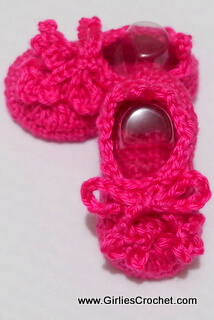 I am a stay at home Mom who designs and creates patterns to share and I enjoy crocheting. It has always been my joy to share the patterns I create but the cost has overtaken me. 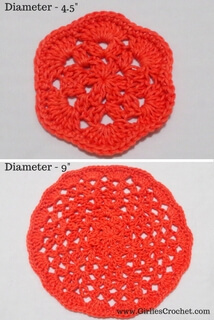 These are free patterns and your contribution will ensure that the patterns remain free at www.girliescrochet.com. Subscribe Here! Comments? Ideas? Feedback? I'd Like to hear from you. Just reply to this e-zine and tell me what you think! 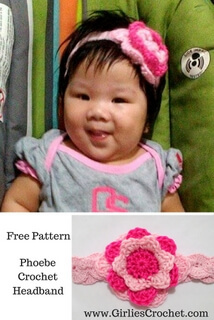 Hope to see you again next month for our "Girlie's Crochet Tuesday Free Pattern" issue.